Home/Blog, Fifteen Trees/Trees of Where I am! Last year, we ran an Instagram campaign called ‘Trees of Where I am‘ and invited our followers to send in photos of trees they came across. 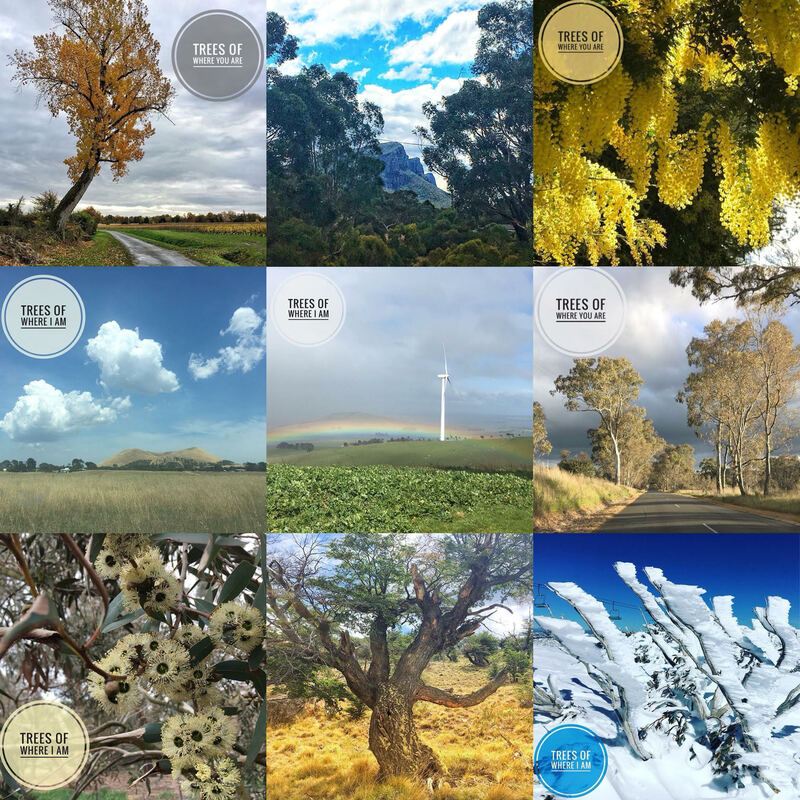 Over the months, we collected 60 tree photos tagged with @15.trees and #treesofwhereIam, #treesofwhereyouare and #treesofinstagram. As a result of this campaign and to say thank you for joining in, we then went out and planted 60 trees – one tree for every photo submitted. We had photos from around Australia with many from within our home-state of Victoria but also from the Blue Mountains (NSW) and Roma (Queensland). However, we also had photos from far-away places like La Gomara Island (off the Spanish coast), England, Switzerland, Ireland, the Grand Cannon and Bali. 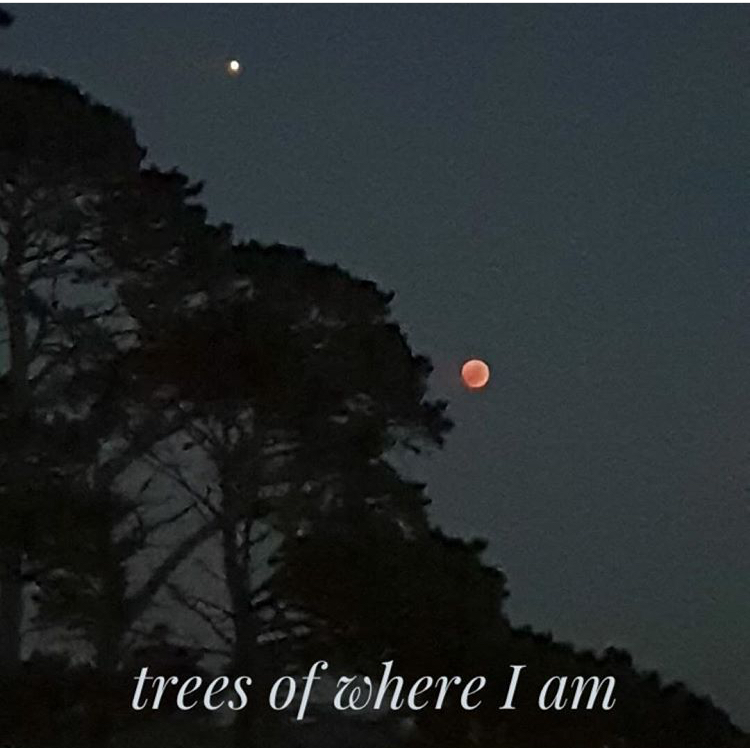 We even had a photo of a tree during a luna eclipse (with Mars photo bombing). 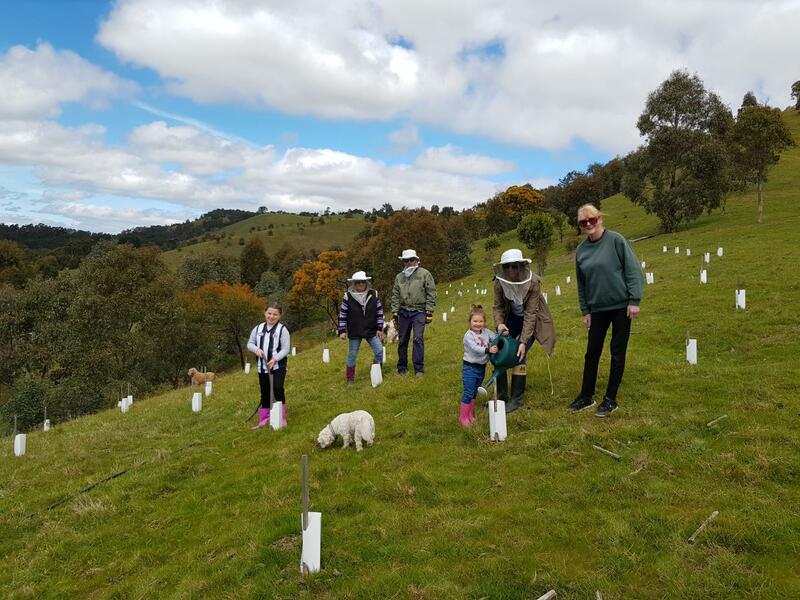 The trees were planted at one of our favourite places … Marysville, Victoria. We have been giving trees to Steven and Heather Joblin for many many years. And from time to time we go planting with them and their team of volunteers. These trees have been planted to entice local bees back into the community. We do have another campaign coming up. This campaign will revolve around Earth Day. We will be asking video (10-15sec) of your favourite tree. More to come. Keep an eye out on Instagram (15.trees) and Facebook. In the past we have run a Poetry Competition, an Ephemeral Art Competition as well as an Art Gallery Exhibition. We have conducted ‘tree pose‘ in parks and cities. We love campaigns and hooking in with like minded people and companies. Of course, every entry will have a tree planted as a thank you for joining in. Very well done 15 trees!! !